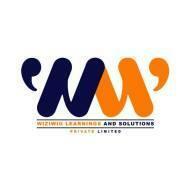 Wiziwig Learnings and Solutions is a 2 year old startup aimed at providing skill development training to students and working professionals. We have worked with reputed schools and colleges across the country. As of now, we have catered to over 15,000 students and continue to build our rapidly expanding network of students. We offer Public Speaking Training, Spoken and Written English Courses, Model UN Training, Leadership Training, Placement Assistance. Wiziwig Learnings And Solutions Private Limited conducts classes in Personal Grooming, Personality Development Training and Spoken English. It is located in Sushant Lok Phase 1, Gurgaon. It takes Regular Classes- at the Institute and Online Classes- via online medium. Ace Institute For Education A.